Our Lil Champs class consists of children between the ages of 3-4 yrs old. We focus on the basics of respect, focus and listening skills while developing the core body mechanics for improved balance, coordination and motor skills. This program builds the base of mental and physical preparedness that carries over in and out of the dojo. Our Junior Champions class offers an award-winning kids program which consists of conditioning the mind, body & spirit while using positive & goal-oriented training. This level of class teaches the basic stances, positions & movements of mixed martial arts. This includes Kickboxing, Brazilian Jiu-Jitsu, and Submission Grappling. Our MMA Striking program is a blend of the key elements of boxing, kickboxing, & Muay Thai training for the best MMA striking system available today. This system was develop by Roger Krahl, coach of many UFC fighters at ATT headquarters. This is a proven system through years of experience and real life use. Brazilian jiu-jitsu is a martial art, combat sport and a self-defense system that focuses on grappling and especially ground fighting. Brazilian Jiu-Jitsu is one of American Top Team's core training programs. We have produced a multitude of champions in all types of competitions. This, all under the tutelage and watchful eye of Brazilian Jiu-Jitsu World Champion and living legend, Ricardo Liborio, considered by many to be one of the most technical black belts ever to come from the famed Carlson Gracie academy. Brazilian Jiu-Jitsu is primarily a ground-fighting art. Most techniques involve both fighters on the mat. There is a heavy emphasis on positional strategy. Positions are stable situations, from which a large variety of techniques are available to both fighters. Also known as MMA, Mixed Martial Arts is used to describe a modern style of martial arts which incorporates techniques and theories from several sportive martial arts. This especially applies to MMA styles which incorporate a mixture of ground fighting, stand-up striking, and takedowns. Our MMA Combat program is the best self-defense training available anywhere. It is a true blend of MMA for street self-defense. This class is a must for anyone that wants to know how to protect themselves in a real life situation. Submission wrestling (also known as submission fighting, submission grappling, sport grappling or simply as No-Gi) or Combat wrestling (in Japan), is a formula of competition and a general term describing the aspect of martial arts and combat sports that focus on clinch and ground fighting with the aim of obtaining a submission using submission holds. The term "submission wrestling" usually refers only to the form of competition and training that does not use a "jacket", "gi" or "combat kimono", often worn with belts that establish rank by color. This class focuses specifically on Freestyle, Folkstyle and Greco Roman wrestling. This is open to all ages from beginners to advanced. Private & small group instruction is also available! All private lessons are custom designed programs intended to meet all of your martial arts and fitness needs. 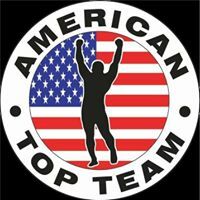 Copyright © 2019 American Top Team Palm Beach Gardens, all rights reserved.